The title and poster of the movie clearly tells us what the movie is about. 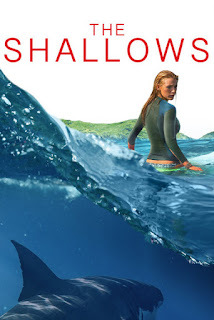 A girl went to a secret beach that her late mother always surfs and encounter a great white shark in the shallow water. She fought with the fight several times during she was stranded on a rock just 200 yards from the shore. 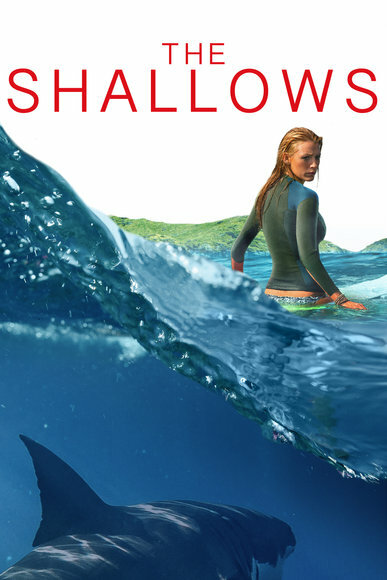 Lastly, she managed to kill the shark by baiting him deep in the ocean. When the shark nearly bitten him, she swam aside and the shark bit the sharp metal structures on the bottom of the ocean.